MetTel is a strategic partner providing a comprehensive suite of voice and data solutions as well as telecom consulting services to leading businesses nationwide. 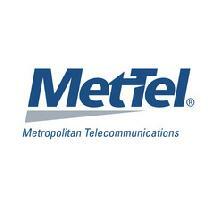 MetTel has been providing integrated communications to customers across industries since 1996. We redefine telecommunications by tailoring our products to provide cutting edge solutions. MetTel brings the security of using the most trusted carries in the country with the convenience of using one provider with a single point-of-contact in 48 contiguous states, Hawaii and District of Columbia. Our centralized customer care structure ensures standardized processes regardless of product class or geography.